When life throws curveballs, we worry about things, eventually tackle and get over them. It can be about relationships, finances, work, health or other aspects of life. But if a person is plagued with constant worrying- worrying about the same thing- with no ability to stop, most probably anxiety is the cause. In such cases, the brain seems to be hardwired and habituated to stay in that state. A person who gets easily triggered and goes through sudden fits of unwarranted anger, impatience, boredom, nervousness or uneasiness for no reason is likely to be suffering from anxiety. As the state of restlessness doesn’t cease easily, the person gets fatigued and tired easily. This effects productivity and quality of life. Feeling exhausted all day is another anxiety symptom. It is not the type of fatigue experienced after exercise and other demanding tasks. This is temporary and has a short recovery time. The fatigue or tiredness caused by anxiety is on-going, zapping energy and keeping a person tired and depressed. People with anxiety find it difficult to concentrate and stay attentive. An anxious mind is unable to think clearly and focus on a task. And this affects the ability to get things done. It becomes even more troublesome when accompanied with restlessness. Imagining things that aren’t there or imagining how things can go wrong can create sudden overwhelming fears that disrupt peace of mind. The fear may not be obvious all the time but when it surfaces and a person confronts the stimulus, it can last for minutes or hours before one relaxes. When anxious, the muscles get hyper-stimulated. They become tight and tense as the body’s stress level rise and body goes into a survival mode. A person in this state might experience stiffness and vibrations in the body- legs, abdomen, and neck. To fall asleep, the body and mind need to move into progressive rest and relaxation. But when a person is anxious the sympathetic nervous system goes into overdrive causing restlessness, stress, tension. In this state a person will struggle to relax enough to sleep. 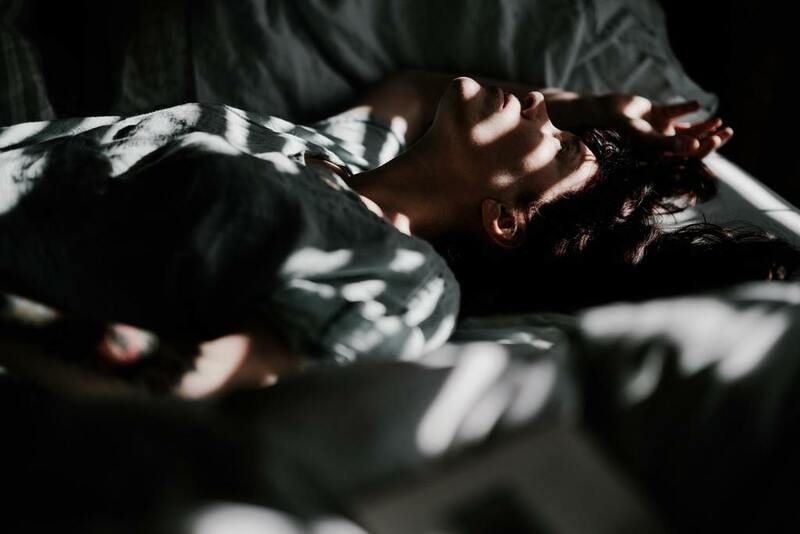 Even in cases where the sleeping problem is caused by other reasons, the anxiety is a known to exacerbates the problem. Panic attacks are also sometimes referred to as anxiety attacks. They are one of the more serious symptoms of anxiety. These come suddenly and are intense in their effect. The common characteristics of a panic attack include shortness of breath, racing heartbeat, nausea, shaky legs, and overwhelming fear. When suffering from anxiety, people can be extremely self-conscious and become fearful of being embarrassed in social situations. Embarrassing memories flood come back and it feels much easier and comfortable to stay away from other people and be alone. Most anxiety symptoms start in the mind. But as anxiety creates awkward chemistry in the body, physiology can also be affected. Anxiety can easily affect the gut as it is sensitive to psychological changes. This leads to digestive problems. One of the commonly reported problems is feeling queasy in the stomach due to inflammation. In some cases, indigestion can become chronic. Stage fright can take a huge toll on self-esteem, self-confidence and one’s overall success. It cripples a person from performing at their peak level. It is a phobia that is aroused when one is required to perform in front an audience. The person struggles with the fear of being judged, laughed at or humiliated. Memories of past traumas form flashbacks. These can be pictures, smells, sounds, bodily sensations, and feelings. Rather than be a symptom of anxiety (which they sometimes are) flashbacks are more often than not a cause. The condition, if severe, is called a post-traumatic stress disorder. Flashbacks can come abruptly, changing mood and causing much stress and upset. Although perfectionism can get a job done with utmost quality, it can be damaging when followed all the time. A perfectionist strives to obtain exact outcomes as per real or imagined requirements with regard their work, study or home life. Perfectionism creates a mindset of self-evaluation, flaw finding and setting unrealistic standards for performance. All this can create self-doubt and contribute to a person feeling bad about yourself themselves. Repetitive, routine and ritualized behaviours- repeatedly checking for new emails, oven, phone for messages, talking non-stop, frenzy feet are symptoms of anxiety. A person feels compelled to perform a task in order to release stress or suppress thoughts. These are just some of the many symptoms of anxiety. Although there is a lot of overlap with other causes if you recognize yourself in any of these you may have an anxiety problem, whether mild or severe. As many of the symptoms discussed above could be related to health problems other than anxiety it’s important to discuss your concerns with GP. It’s is essential that you rule out any medical conditions that could be the cause of what you are experiencing. 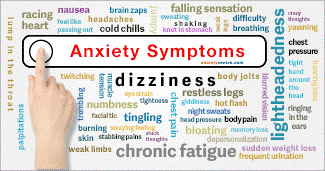 If you’re healthy and there are no medical causes, then you may be suffering from anxiety. Whether in the form of compulsions, phobias, social anxiety or general anxiety (also know as gad or general anxiety disorder). In any of these cases feel free to reach out to an expert who will be able to help you.